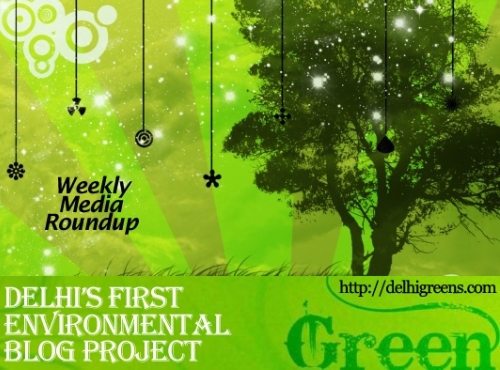 Weekly green news update from across different media networks for week 24 (between June 13 to June 19) 2016. The fate of Aravalli hills, one of the world’s oldest mountain ranges, in Delhi-NCR still hangs in a limbo. With monsoon just a few weeks away, it’s not just the human beings who are waiting to get drenched, but several animals too are gearing up to come out of their hibernation. Till a few years back, Aravalli Biodiversity Park housed a number of ponds. However,a walk here this summer yields dry water bodies, signalling a sharp decline in the region’s water table. A team of three IIT Delhi students have come up with a prototype called FAME One. Their innovation can help small-scale hotels, restaurants and households to convert waste cooking oil into biodiesel. The South Delhi Municipal Corporation on Wednesday launched an integrated system for collection and transportation of garbage to ensure effective disposal. The National Zoological Park in New Delhi, which attracts around 22 lakh visitors annually, is all set for a revamp with the authorities planning to give it a forest-like atmosphere. Delhi Government moved the Supreme Court on Friday seeking modification of its last year’s order to make the norms easier for registration of 110 diesel-run ambulances with engine capacity beyond 2000 CC. University of Delhi is organizing “Workshop on Environmental Pollution and Health in Urban Ecosystems,” on June 23, 2016. Delhi Jal Board Minister Kapil Mishra has announced a new project that will monitor the data and performance of all Delhi sewage treatment plants online. Three new water treatment plants were commissioned last year by the Delhi Jal Board without making provisions for adequate raw water, and the sewerage infrastructure remained under-utilised, the report of the Comptroller and Auditor General for 2014-15 has found. This year, the focus will be on cleaning the over 1,000 water bodies in the national capital, followed by plantation. India and the European Union have developed a cost-effective technology for treatment of sewage waste for irrigation, especially in rural areas, using natural filters like sand and plants. The Delhi government has drawn up an elaborate plan for Yamuna revival, focusing on the cleaning of drains, development of green areas along the river and creation of reservoirs. Environmentalists have hailed the recent decision of the Haryana government to notify Mangar Bani, off Gurgaon-Faridabad road, as a no-construction belt. Shilpi Chakravarty is an Environmental Professional based in Delhi and is working to use her professional skills for making Planet Earth a better place to live in!